You won’t believe what we can serve out of this truck! Voted “Best BBQ in the Valley” by Virginia Living and Daily News Record; Hank’s Fly’n Pig now brings Hank’s barbecue-goodness on the road. 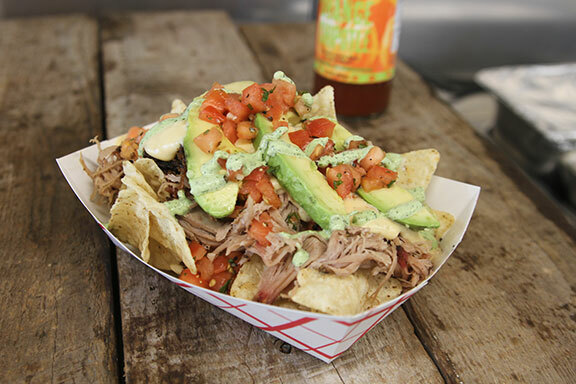 The Fly’n Pig menus vary and include but are not limited to: Pit-to-plate barbecue fresh out of our smoker, beef brisket carved-to-order and southwestern-style tacos and nachos, breakfast, funky sandwiches and seasonal items. Blue Ridge Outdoors readers voted Hank’s Fly’n Pig the “Best Food Truck” in the Shenandoah Valley. The Fly’n Pig can offer many types of foods from Hank’s home-made english muffin sandwiches for breakfast to Texas Tacos for lunch or dinner. The following menus are sample menu that offer most often showcasing our “Pit-To-Plate” barbecue and fresh baked breads. pulled pork in Hank's Original sauce ready to take home! hand-sliced beef brisket ready to take home!